Let me just say...if you’re reading this article, it’s pretty safe to say you have good taste. How do I know? Because if you’re researching pool coping, you already know you want something special. 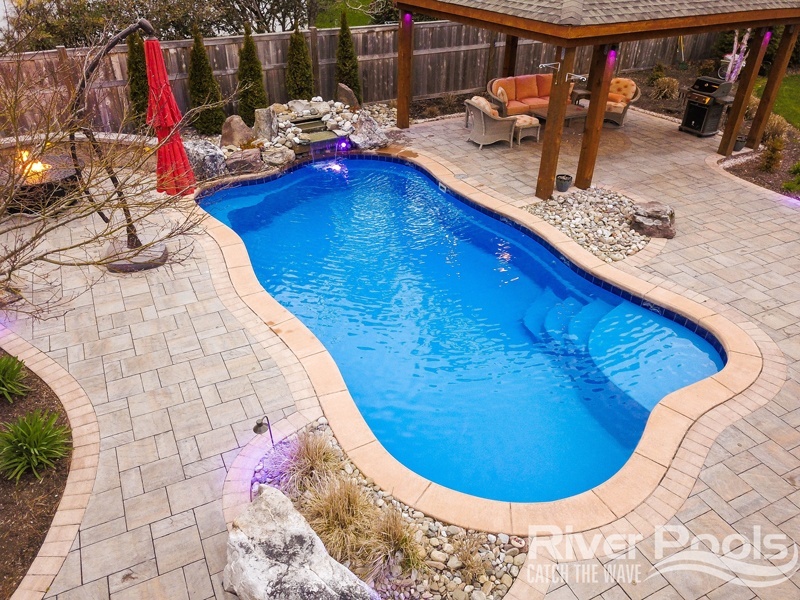 Each pool decision affects both your aesthetic and your budget. Our inground pool pricing guide explains the costs associated with each pool type—concrete, vinyl liner, and fiberglass. After you've chosen that, the pool patio and coping make up a huge part of your expense. Make sure you're happy with your choice! This article has one objective: to familiarize you with the most popular types of inground pool coping so you can choose which belongs in your backyard design. The pools featured in this article are from some of the best pool contractors in the United States...and they all happen to be fiberglass pools! The coping is the border around the inground pool that transitions to the pool patio. What type of coping should I get for my pool? The main types of coping are brick, paver, travertine/natural stone, and cantilevered concrete. You can match the coping with the patio material or choose something different for contrast. Cantilevered concrete is the least expensive option ($6–$10 per linear foot), and natural stone is the most expensive material ($40–$55 per linear foot). 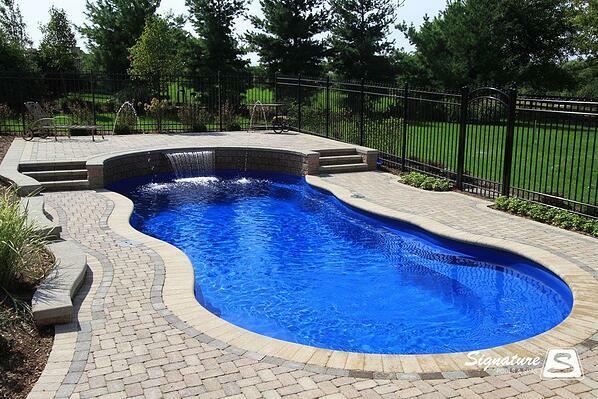 First, we have a gorgeous fiberglass pool built by the guys at Signature Pools in Chicago. Average cost of brick coping: $25–$30 per linear foot. 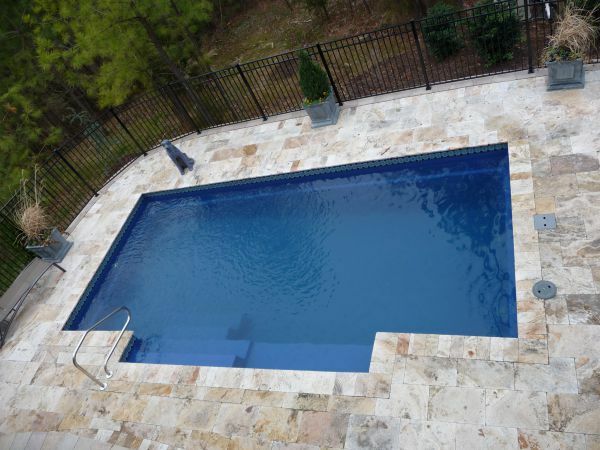 This elegant fiberglass pool comes courtesy of Earl's Pools of Alabama. Average cost of paver coping: $40–$50 per linear foot. 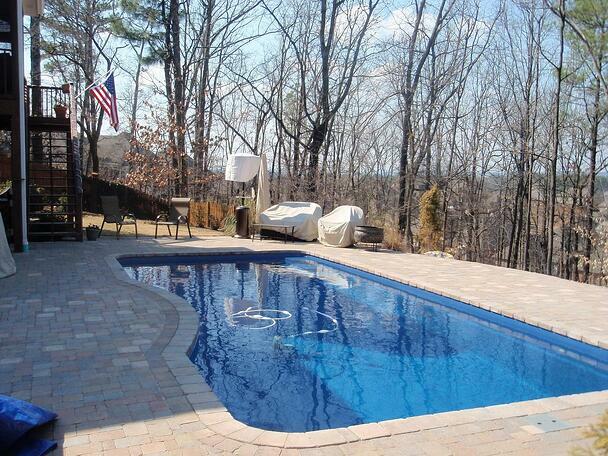 Note: the primary difference between brick and paver coping is the type of edge the product has facing the pool. Brick coping has a bull-nose or rounded edge, and paver coping has a 'factory' edge similar to regular pavers. These terms can vary according to region. This is a beautiful project in Virginia we had the privilege to install. The beautiful coping work was completed by Cross Creek Nursery out of Richmond. Average cost of travertine/natural stone coping: $45–$55 per linear foot. 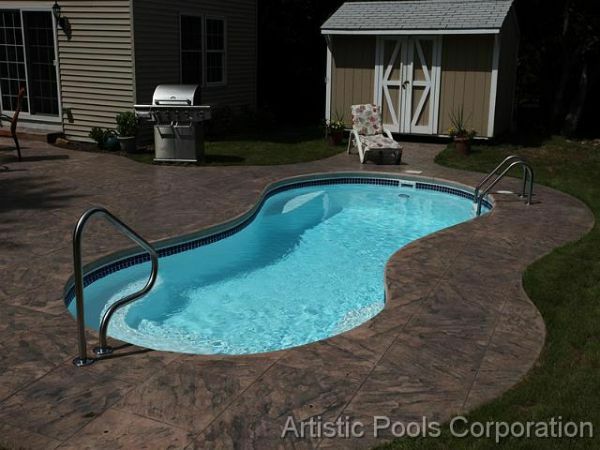 And here we have a fiberglass pool with stamped concrete from Artistic Pools in New Jersey. Average cost of cantilevered concrete coping: $6–$10 per linear foot if not included in standard package. Why is Pouring Concrete (Cantilever Coping) around a Fiberglass Pool so Difficult? Questions? Ask away in the comments section. Oh, and please don't forget to subscribe to our blog to stay on the cutting edge of the swimming pool industry. Editor's note: This blog article was originally published in March 2011 and has been updated and revamped for accuracy and appearance.